The main objective that finally sealed the fate of the Allied intervention in Siberia was the rescue of the Czechoslovak Legion from Russia. President Wilson denied countless proposals from the Allies to intervene in Russia, until the protection and safe passage of the Czechoslovak Legion out of Russia to the Western front was starting to come into question. The primary objective of President Wilson’s Aide Memoire was to render all possible assistance to the Czechoslovak Legion, who had become isolated in Russia as a result of Czech capitulation to Germany, as it made it’s way east across Siberia via the Trans-Siberian railroad. Furthermore, the Allies were to enable the Czechoslovak Legion to leave Russia and return to their homeland; or use them in a reconstituted Eastern Front, which had since collapsed. The Czechoslovak Legion had distinguished itself in combat against Germany. Therefore, the Allies considered the safety of the Czechoslovak Legion essential. In the summer of 1918, the relationship between the Allies and Russia had begun to deteriorate. The deterioration can be explained by the story of the Czechoslovak Legion. Large numbers of Czech and Slovakian soldiers that were fighting for the Austro-Hungarian Army from 1914 to 1917, were either captured, or decided to defect to the Russian Army. 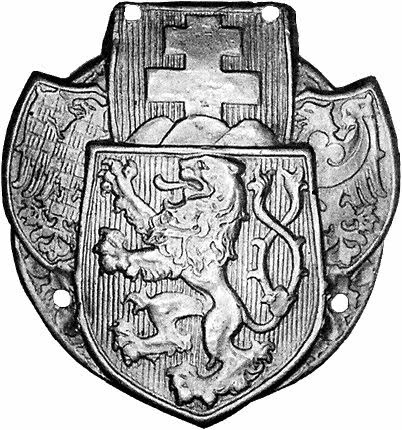 The Provisional Government in Russia organized the Czech and Slovakian soldiers into a regiment called the Druzhina, or Czechoslovak Legion (Melton, 8.) The highest commanding officers were mostly Russian in nationality, but Czech nationals that had established themselves in the Tsarist army were also transferred to the Druzhina as commanding officers. Russians used the Czech Legion to battle against the Germans and undertake reconnaissance missions on the Eastern Front of World War I. As larger numbers of Czech and Slovak soldiers on the Austro-Hungarian side were defecting and being captured, the Czechoslovak National Council further stressed the idea that all the prisoners should be combined into the Druzina, thereby making it a formidable Czechoslovak force that could increase Allied success against the Central Powers. After the Czech Corps had gained strength and proven themselves in the Brusilov offensive in June 1917, Thomas Mayarsk, who was soon to become the new president of the Czechoslovak Republic in 1918, traveled to Russian in order to evaluate the Czech Corps and organize them into a more deployable force that could be transported to fight the Germans on the Western Front of the war (Tunstall, 52.) Although the Czech Corps had proven their fighting capacity on the front lines of the Brusilov offensive, the massive amounts of casualties that the Russian’s faced, combined with the deteriorating economic and political situation in Russia hindered the effectiveness of the Czech Corps on Russia’s Eastern front. Masaryk felt that the Czech Corps would be much more effective if they were to abandon the Eastern Front and make their way to the Western Front where they would assimilate with the other Allied troops in France. As the Czech Corps waited for the Brest-Litovsk negotiations to end and their new assignments to be handed down from the French command, they were still stationed around Kiev, Ukraine. Their operations consisted of guarding war and ammunition depots that were left behind by the discouraged and dismantled Russian Imperial Army. The Czech Corps also managed to capture a large amount of weapons from the Central Powers during the Brusilov offensive (Kennan, 6.) Not only were Czech Corps very well established, they were also heavily armed. On March 15, 1918, the Moscow-based Soviet People’s Commissars (Sovnarkom) permitted the Czech Corps to make their escape out of Russia by traveling east on the Trans-Siberian Railroad to Vladivostok (Mawdsley, 19.) However, one of the conditions that would ensure safe passage of the Czech Corps was that they must surrender some of their arms to Antonov-Ovseyenko, the Bolshevik Commander in the Ukraine (Bunyan, 80.) Once trainloads of Czech soldiers were disarmed in Kursk, Russia, they would continue on their journey eastward through Siberia to Vladivostok. 1) The Evacuation must begin at once. 2) The non-Communist Russian officers who still occupied the highest command positions in the Corps (referred to as the “counter-revolutionary commanders”) must be immediately removed. 3) The members of the Corps should proceed not as fighting units but as a group of free citizens, taking with them a certain quantity of arms for self-defense against the attack of counter-revolutionists. The conditions were set into place immediately. Soviet military officials proceeded to the city of Penza, which was the current position of the Czechoslovak Legion on March 27, 1918. They were there to enforce the new conditions. The Soviet officials declared to the Czechoslovak Legion, “each trainload of Czechs may have one armed company of 168 men, with rifles and a single trench mortar (Bunyan, 82. )” The Soviet military officials also retained the counter-revolutionary commanders. After the Czechoslovak Legion had passed Soviet Inspection, they were back on their way to the east. Although the majority of the Czech soldiers had complied with the terms of the Soviet inspection, some of them were suspicious of the Bolsheviks. They felt that once they gave up their weapons, they would be very vulnerable to outside attacks from revolutionary guerillas, or possibly even the Bolsheviks (Kennan, 9.) Therefore, a number of Czech soldiers hid additional arms and supplies in the trains that escaped the eyes of the Soviet officials. After the Allied commanders, especially President Wilson, agreed upon the Allied intervention the Japanese wasted no time in deploying to Siberia. By April 5, 1918, the Japanese had deployed their first troops. This was months before the other Allies would reach Siberia. The Bolsheviks read the Japanese landing as the beginning of some type of large-scale movement against the Russian government (Kluchnikov, Sabanin, 137.) The soviets became even more suspicious about the objectives of the Czechoslovak Legion. The Soviets jumped to conclusions and ordered that the Czechoslovak Legion’s movement across Siberia be immediately stopped on April 7, 1918. After the Soviet’s worries about the Japanese landing had been pacified a few days later, they recalled the orders to stop the Czechs, and let them continue. This was a brief rift in the Soviet-Czechoslovak relationship, however tensions would continue to grow past this point. The British military was also taking great interest in the current situation of the Czechoslovak Legion. On April 1, 1918, British Military officers approached the French government and the Czechoslovak National Council with an alternate plan for the Czechoslovak Legion. The British thought that the Legion could be used effectively in the Allied intervention if it linked up with Japan, or if they were to move north to Murmansk and Archangelsk to guard ports and protect allied supplies from the Germans (Benes, 357.) After hearing out the British, the French command respectively denied any change in the Czechoslovaks movement. The French command needed the Czechs on the Western Front, and did not want to waste any time getting them there. 1) The British Government undertakes to do their best to arrange transportation of those Czech Troops who are in Vladivostok or on their way to that port. 2) The French Government undertakes to the responsibility for those troops until they are embarked. The Supreme War Council had ultimately decided in favor of the joint British and French Plan. They agreed that the Czechoslovak Legion should be split, half to continue to the Vladivostok and the other half to head to Archangelsk and Murmansk. However, the French and British militaries had not reached a solution for how quickly they wanted to transport the dedicated Czechoslovak Legion to the Western Front in France. An increase in fighting between the Czechoslovak Legion and the Bolsheviks started on May 26, 1918. Trotsky was thoroughly convinced that the Allies and Russian counter-revolutionaries were using the Czechoslovak Legion as a precursor to an upcoming Japanese intervention in Siberia (Sadoul, 369.) Although the Soviets were blaming the Allies, none of the Allies had ever instructed the Czechoslovak Legion to challenge Soviet authority on their own. And the French Command certainly did not authorize the Czechoslovak Legion to start a counter-revolution against the Bolsheviks in May 1918 (Kennan, 16.) Due to all the hold ups and commotion that plagued the Czech escape, the lines of authority between the French and Czech commanders had become confused. After hearing about the incident in Cheliabinsk, the French Military Mission in Moscow came to the decision that it was now the appropriate time to reestablish authority and require that the Czechoslovak Legion accept the conditions of the Soviets to disarm, and allow the Soviet authorities to ensure their safe passage out of Russia. Joseph Noulens, however, negotiated with the Allies and the Soviets that the Czechs “ had the right to leave with their arms; this right ought to be respected (Noulens, 86. )” The parties respected Noulens proposition, and approved. But it would be some time before this news could reach the Czechoslovak Legion, and counter-revolutionary action was already underway. The Czechoslovak Legion quickly packed up the riches and sent them on their way to Cheliabinsk. They would use the capture as in negotiations with the Allies and the Bolsheviks. When General Graves arrived to Vladivostok on September 2, 1918, he immediately ordered the rescue of the Czechoslovak Legion. However, after he issued the order he was surprised to hear that the three main Czechoslovak Legion divisions that were making their way across Siberia had finally joined forces on August 31, 1918. The Czechoslovak legion was in complete control of the Trans-Siberian Railway from the Volga region to Vladivostok (Melton, 51.) With the Czechoslovak troops in good position, General Graves was no longer pressed to provide them with aid. General Graves did not realize that the Czechoslovak Legion had begun its own counter-revolutionary movement against the Bolsheviks while it progressed eastward to Vladivostok in the spring of 1918. The Czechs were still calling for the aid of the United States, but it was for a different reason. Outlined by President Wilson’s Aide Memoire, General Graves was prohibited to interfere with the Russian government. The Czechoslovak Legion was requesting aid from General Graves to supply them in their fight against the Bolsheviks; this was simply against the specific conditions of the United States’ role in the allied intervention. If the Czechoslovak Legion was still trying to escape Russia, the United States was obligated to get them out. The Czechoslovak Legion had instead decided to remain and fight in Siberia, which would prove a big mistake to their future existence. The Czechoslovak Legion fought valiantly so secure its escape out of Russia during the spring of 1918. Coming across great military successes fighting across Siberia, the Czechoslovak Legion began to lose sight of its ultimate goal of escape. They became overconfident in their abilities to carry out a counterrevolution, which slowed their evacuation out of Siberia, and influenced them to keep fighting. If the Czechoslovak Legion had stuck to the original plan, they may not have met the harsh fate of collapse in October 1918. 1) Bradley, J. F. N. Civil War in Russia, 1917-1920. New York: St. Martin's, 1975. Print. 2) Beneš, Edvard, and Paul Selver. My War Memoirs. London: G. Allen and Unwin, 1928. Print. 3) Bothmer, Karl, Andre Nikolaevich. Sakharov, A. K. Sokolov, and Uri Felshtinski. S Grafom Mirbakhom v Moskve: Dnevnikovye Zapisi I Dokumenty Za Period S 19 Aprelia Po 24 Avgusta 1918 G. Lewistown, NY: Edwin Mellen, 1999. Print. 4) Bunyan, James. Intervention, Civil War, and Communism in Russia, April-December 1918; Documents and Materials. Baltimore: Johns Hopkins, 1936. Print. 5) Cipko, Serge, and Michael Palij. "Mahkno, Nestor." Encyclopedia of Ukraine. Canadian Institute of Ukrainian Studies, 1993. Web. 14 Apr. 2012. 6) Duffy, Michael. "Peace Treaty Between Ukraine and Central Powers, 9 February 1918." First World War.com. 22 Aug. 2009. Web. 14 Mar. 2012. <http://www.firstworldwar.com/source/ukrainianpeacetreaty.htm>. 7) Goldhurst, Richard. The Midnight War: The American Intervention in Russia, 1918-1920. New York: McGraw-Hill, 1978. Print. 8) Kennan, George F. "The Czechoslovak Legion." Russian Review 16.4 (1957): 3-16. Print. 9) Kennan, George F. "The Czechoslovak Legion II." Russian Review 17.1 (1958): 11-28. Print. 10) Kluchnikov, and Sabanin. "Extract from the Russian Government’s Statement on the Japanese Landing at Vladivostok." Marxists Internet Archive. Soviet Foreign Policy, 5 Apr. 1918. Web. 10 Apr. 2012. <http://www.marxists.org/history/ussr/government/foreign-relations/1918/April/5.htm>. 11) Kratochvíl, Jaroslav, and Josef Čapek. Cesta Revoluce. Praha: Čin, 1928. Print. 12) Luckett, Richard. The White Generals: An Account of the White Movement and the Russian Civil War. London: Longman, 1971. Print. 13) Mawdsley, Evan. The Russian Civil War. Boston: Allen & Unwin, 1987. Print. 14) National Archives, War Records Division, Record Group 120, Records of the American Expeditionary Forces. Supreme War Council Papers. 8 Apr. 1918. 15) Newbolt, Henry. History of the Great War: Naval Operations, Vol.5. [S.l. ]: Longmans, 1931. Print. 16) Noulens, Joseph. Mon Ambassade En Russie Soviétique 1917-1919. Vol. II. Paris: Plon & Nourrit, 1933. Print. 17) Read, Christopher. "Russian Intelligentsia and the Bolshevik Revolution." History Today. Web. 21 Apr. 2012. <http://www.historytoday.com/christopher-read/russian-intelligentsia-and-bolshevik-revolution>. 18) Sadoul, Jacques, and Albert Thomas. Notes Sur La Révolution Bolchevique (Octobre 1917-Janvier 1919). Paris: Éditions De La Sirène, 1920. Print. 19) "Subversion of Czechoslovak Corps." Izvestiya [Moscow] 26 Apr. 1918, 83rd ed. : 3. Print. 20) Syrový to Graves, 1 October 1918, Historical Files of the AEF, file 21-23.11. 21) Tunstall, Graydon A. "Austria-Hungary and the Brusilov Offensive of 1916." The Historian 70.1 (2008): 30-53. Print. 22) Unterberger, Betty Miller. The United States, Revolutionary Russia, and the Rise of Czechoslovakia. Chapel Hill: University of North Carolina, 1989. Print.